A week after police opened fire and suppressed protests by ethnic minority Muslim Uygurs in a village in the restive Xinjiang region, the crowd at the local mosque has plummeted by 70 percent, residents say, suggesting that a silent crackdown is underway. 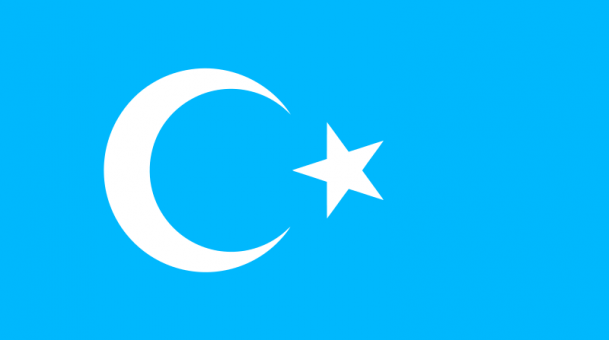 The hundreds of Uyghurs missing from the prayers at the mosque in No. 16 Village of Aykol town in Aksu prefecture have most likely been detained after the deadly violence on Aug. 7 on the eve of the Eid al-Fitr marking the end of Islam’s holy month of Ramadan, according to the residents. They believe 300 to 400 have been taken into custody since the shooting incident, triggered by protests by Uyghurs who pelted stones and bricks at police after the authorities prevented residents from a hamlet in the village from going to another hamlet to perform the Eid eve prayers. “The number of people coming to pray has been decreasing day by day since Aug. 8th,” Memet Ayas, the No. 16 Village mosque chief, told RFA’s Uyghur Service. “Now no youths appear for prayers at our mosque. We lost 70 percent of our mosque community,” he said. Memet Ayas, the “imam” of the mosque, believes many of the familiar faces at the mosque have been detained following the Aug. 7 violence which left at least three Uyghurs dead and more than 50 injured. “Based on this I am assuming that at least 300 people have been detained from the entire township,” he said. According to him, even youths going to the town bazaar for a hair cut are detained for questioning even though they were not tied to the incident. A teacher in the township who witnessed the incident said he believed at least 400 people have been taken in for questioning or are on the verge of being detained. “On that day, one third of the crowd were physically involved in the incident, another one third were providing them moral support and the remainder were mere spectators. So, I believe that at least 400 people [two thirds of the crowd] have been detained or are being targeted for detention,” he said. Police had said after the shooting incident that a dozen civilians, including a four-year-old girl, and 10 policemen were wounded in the violence. But medical personnel said the number of injured could have exceeded 50. He also said that there was no more room for the injured at the the Aksu prefectural hospital and that some had been taken to the city hospital. One medical staff member who treated four injured Uyghurs, including four-year-old girl Subhinur Memet, has become a target of police questioning. Arzigul Emet said she was woken up on the night of the incident by Subhinur’s father. “Not long after I reached home after closing the clinic, maybe about 10 to 15 minutes later, there were knocks on my door. When I peaked through my window it was Subhinur’s father pleading and holding his daughter in his arms. I could not help but reopen the clinic,” she told RFA. While she was treating Subhinur, who received gunshot wounds in her leg, three other Uyghurs entered the clinic and sought treatment. Reported by Shohret Hoshur for RFA’s Uyghur Service. Translated by Mamatjan Juma. Written in English by Parameswaran Ponnudurai.